I had heard a great deal of hype about the book before picking it up at my local library to read. But it wasn't until after I read Renee's bio in the back, that I found out that she actually lives near by in Charlotte. So, not only did I fall in love with her book but I have mad admiration for her because she is a local writer whose debut novel totally rocked the community. It's become such a success! I find true inspiration in this. One day, I tweeted Renee & asked her where I could purchase my own copy of the book. Specifically a signed copy. She kindly replied that I could pick up a copy at Park Road Books in Charlotte. The bookstore only being about 35 minutes from my house, I planned to eventually swing by. Fast forward to yesterday. The boys had early release from school due to parent/teacher conferences. Instead of doing the conference thing (don't judge: I communicate enough daily) I picked the kids up & headed to Charlotte. 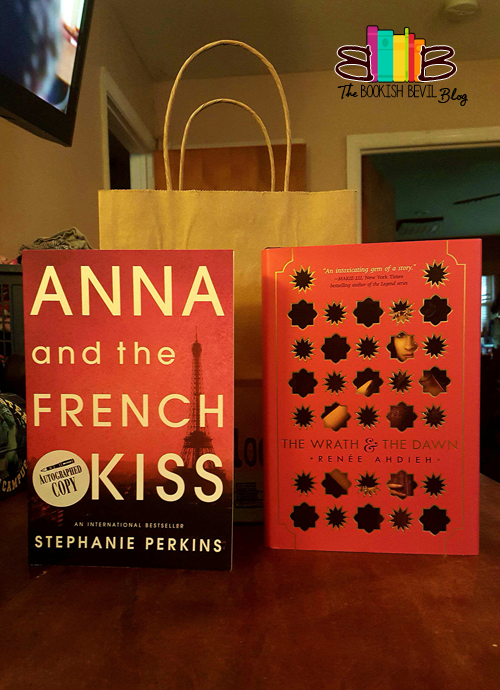 I paid for my signed copy of The Wrath & the Dawn and also picked up a signed copy of Anna and the French Kiss. I haven't read it yet but I've been wanting to. 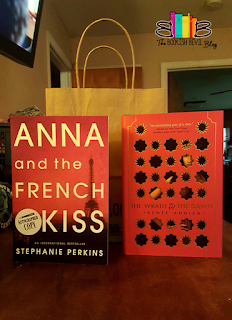 Having both of these books signed is clearly something to be excited about. However, it actually gets much better than that. 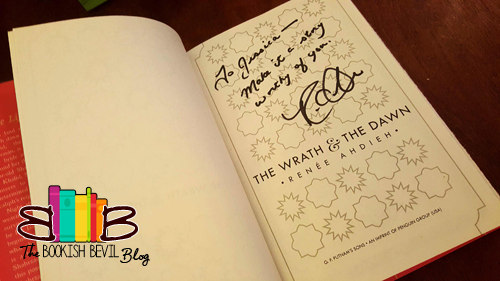 When I got back to my car, I was pleasantly surprised to see that not only had Renee signed my copy of her book but she had personalized it as well!! 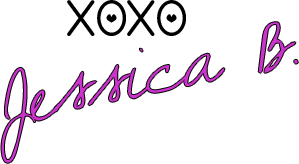 It reads, "To Jessica- Make it a story worthy of you." Finding this sent me into a total Fangirl moment. I was bragging to my husband over the phone yesterday & I'm still excited over it today. It's my first personalized book & it means so much more to me than that. So tell me... Have you ever had a total Fangirl moment? Who is one author you'd love to have a personalized book from? I wanna know! That is awesome. 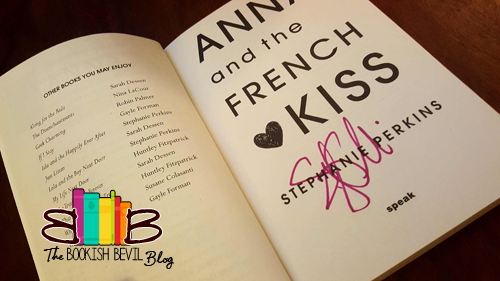 I'm such a huge fan of Stephanie Perkins and I've been lucky enough to have some friends get my books signed by her but not all of them. As for The Wrath and the Dawn, I haven't read that one yet but I plan to soon! As for the one author I'd love to have a book personalized from, that' easy: J.K. Rowling. This Harry Potter nerd would probably pass out from excitement.